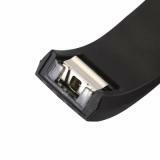 Watch Strap for Fitbit Charge 2 is easy to adjust the length to fit your wrist, which is soft , lightweight and safe material to wear. It is small and light for convenient use. Buy it now for Fibit Charge! 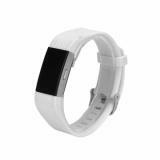 ET A04 Watch Strap for Fitbit Charge 2 is sport bands with durable and flexible TUP material that is soft, lightweight and safe material to wear. Also sweat, rain, splash, water resistant. The multiple holes designed for ventilate, breathable and comfortable wearing experience and stainless steel buckle to ensure your watch secure during strenuous exercise and a strap holder to secure the extra length. No worry about falling off your precious fitbit. This replacement band for fitbit charge 2 can be adjusted to the right size according to your wrist circumstance. There comes colorful bands for your selection. 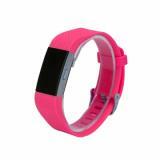 • Quick link： Mrs win Silicone Strap. 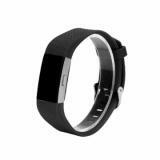 Together with this watch strap, I ordered a few other gadgets and get $5 off. Satisfied with the prices and experience. 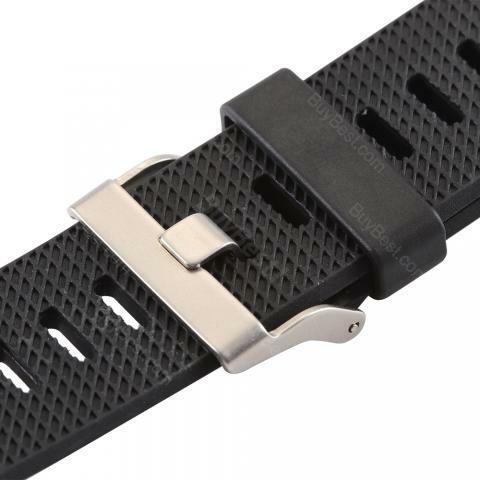 Highly recommend this product if you are wanting some new watch bands for Fitbit Charge 2. they are great quality, a great price and fun to wear. Like the pure color, nice watching strap. It perfectly matches my watch. Love these watch straps, fit perfect on my Fitbit Chatge 2 watch. easy to switch out the band. exactly what I was looking for. A nice strap, easy to clean and use. Besides, the price and customer service are fabulous. Would come back again. This watch strap looks just like the original band, easy to change, soft, lightweight and comfortable to wear. Great deal. Worth the price. Nice watch strap!! !